If you’ve followed me for any length of time, you know that I love to make things from scratch. I like having full control over the ingredients, and for the most part, making your own convenience foods is less expensive, and often more convenient than running to the store. 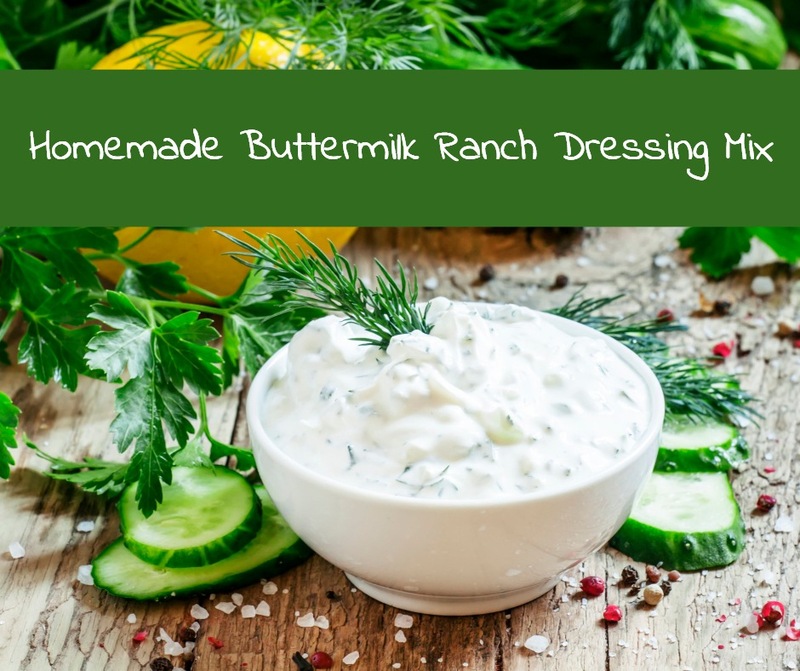 This homemade buttermilk ranch dressing mix recipe is the perfect example. I’m sure you have several recipes you like to make that call for a packet of ranch dressing mix. Making your own is as simple as mixing up a handful of herbs and spices in a clean glass jar. Store it in your pantry and whenever you need a pack of the dry mix, scoop out three tables spoons. It’s that easy. Mix all ingredients in a clean jar and store until ready to use. I omit the salt and pepper at this stage. I prefer to add it to taste depending on what I use the mix for. 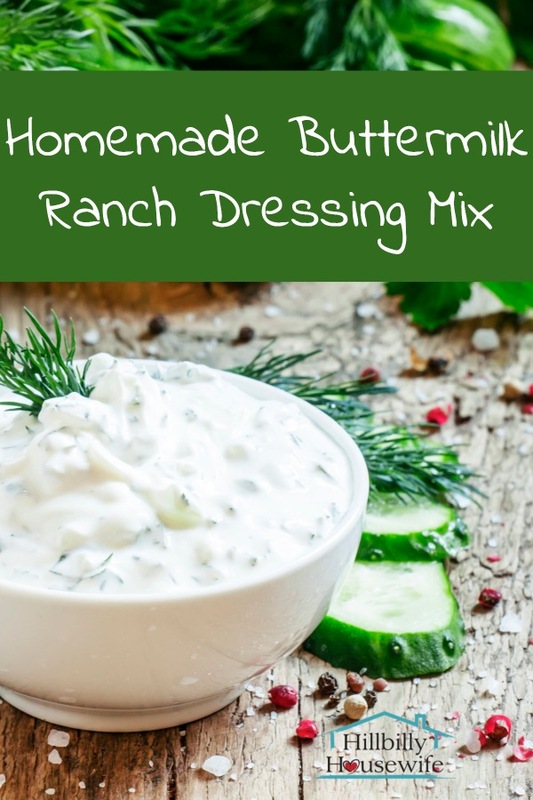 Use 3 table spoons of this mix in any recipe that calls for a packed of ranch dressing mix. 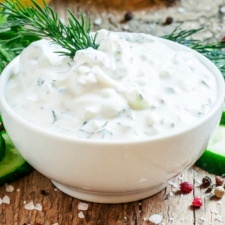 To make ranch dressing, mix 3 tbps with a cup of milk and a cup of mayonnaise. For a dip replace the milk with plain yogurt or sour cream.